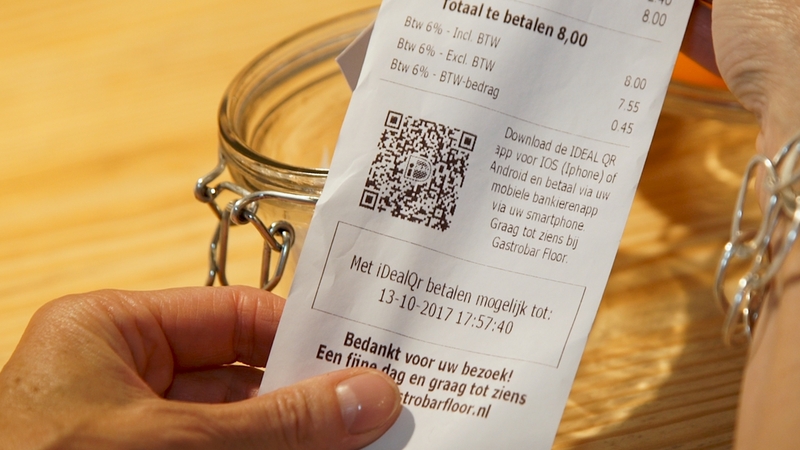 With iDEAL QR your customer can pay with iDEAL. With their mobile banking app (if the bank offers this option) or with the iDEAL app your customers scan the QR code and confirm the payment easily with their code for mobile banking, fingerprint or face recognition. Payments with iDEAL QR are possible in any situation. You can display the QR code for example on a screen, poster, cash receipt, collection box or invoice. As a result, iDEAL payments in the catering industry, from a collection box, at home delivery or on a paper invoice have become possible. iDEAL QR is an add-on of iDEAL. You need to have an iDEAL contract to offer iDEAL QR. See this link for the participating iDEAL QR Partners. Contact your Acquirer or CPSP to learn more about their iDEAL QR implementation. In the event your customer is presented with the iDEAL QR code on his smartphone your customer cannot scan the iDEAL QR code with his smartphone. For example when the iDEAL QR code is presented on an invoice which you customer also received via email. In this case, you could offer an iDEAL QR that is clickable. Your customer clicks on the iDEAL QR code and he ends up in the same payment flow as if he were to scan the iDEAL QR code. You make the QR code image clickable by adding the URL to the image as a hyperlink. For more details please contact your acquirer or CPSP. With an iDEAL QR on your invoice your customers can pay easily and fast without making any mistakes in your payment reference. Charities use iDEAL QR for their collections. 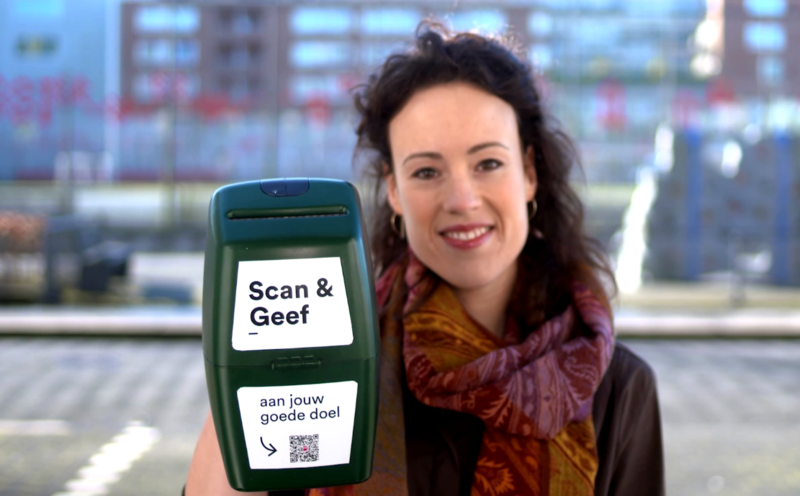 Please watch the video (in Dutch) on the right to learn the many oportunities of iDEAL QR. The iDEAL QR code can be shown on every screen (computer, TV, tablet, order column, etc.). That way your customers can pay easily everywhere and you stay in control of their customer journey. More and more people leave their homes without their wallets. However, they always have their smartphones with them. With an iDEAL QR code on the cash receipt they are still able to pay. You don’t need to have much cash in your register anymore and it saves you a walk to bring the payment terminal to the table or the terras. The first restaurant to offer this service is Gastrobar Floor in Breda. Soon to be followed by others. Would you like to test how quickly you can pay with an iDEAL QR code? 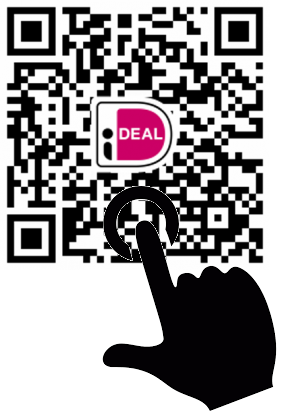 Scan the iDEAL QR code with the iDEAL app and make a test payment of € 0.01.